Thank you for joining us, we'll be back tomorrow. We're nearly done for the night but there's plenty more to come this week with live text commentaries of Tuesday's action plus Hull v Reading (Wednesday), Wolves v Leeds (Thursday) and Birmingham v Cardiff (Friday). Meanwhile, Paul Lambert tells Sky Sports he felt his side deserved three points for their first-half performance and vows to add to the squad in January with the transfer embargo being lifted. 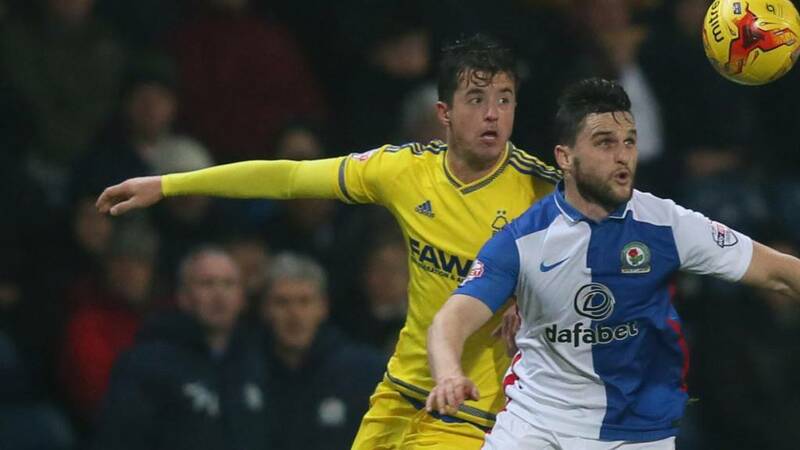 Blackburn Rovers extended their unbeaten Championship run to eight games after being held to a goalless draw by Nottingham Forest. Read the rest of Steve Marshall's match report here. "We had a few chances and a good spell in the first half but the draw is probably a fair result," Blackburn's Craig Conway tells Sky Sports. "This is a hard place to come, it's a good draw and we ground out a point," adds Henri Lansbury. And that is that at Ewood Park as Paul Lambert maintains his unbeaten run as Blackburn Rovers boss. We have two minutes of stoppage time remaining at Ewood Park. The save looks even better on replays with Matt Mills' header taking a slight deflection before Steele's finger-tip stop. What a save from Jason Steele who pulls off a superb point-blank stop at full stretch to tip Matt Mills' header onto the post before it is cleared to safety. So nearly late drama here at Ewood Park. We'll have EIGHT minutes of injury-time. We're into injury-time here at Ewood Park but we'll have a fair bit of stoppage time due to that Lee Williamson injury. Forest make another change, the frustrated Dexter Blackstock is replaced by Chris O'Grady. Can they nick a winner? Meanwhile, Lee Williamson rejoins play with a grimace on his face. Lee Williamson is still down but he's at least moved from being on his stomach to lying on his back. The good news is he's able to leave the field on his feet. The stretcher, neck and back brace is straight onto the pitch with every precaution taken. He's not moved from his position having landed awkwardly. The Rovers medical staff tend to him. Lee Williamson is straight into the thick of the action and takes a nasty fall after going up for a high ball. Concern on the faces of his team-mates. On comes Lee Williamson for Hope Akpan into the heart of Rovers midfield. The corner comes to nothing and sails straight into the arms of Dorus De Vries. Forest have a free-kick in a decent position but Jamie Ward fires a strike from 20 yards straight into the Rovers wall. Very disappointing.